Flowering plants in Texas tolerate the different soils and dry soil conditions in many parts of the state. Three that flowers grow wild throughout the area include Hummingbird bush, Winecup and Texas redbud. They are commercially available and thrive in full-sun and partly sunny areas. Pick plants native to your part of the state for the best garden results. Hummingbird bush (Anisacanthus quadrifidus var. wrightii) is also known as flame acanthun, Wright's desert honeysuckle, Wright acanthus, Mexican flame and Wright's Mexican flame. Winecup (Callirhoe involucrata) is also known as purple poppy mallow. Texas redbud (Cercis canadensis var. texensis) is a shrub and a member of the pea family. Hummingbird bush grows 3 to 5 feet tall with red-orange, tube-shaped flowers up to 1 1/2 inches long that bloom from June through October. Light-green, deciduous, lance-shaped leaves 1 to 2 inches long, brown seed capsules and a pale bark complete the plant. Winecup grows up to 3 feet long and 1 foot tall. The plant features round, hairy leaves and white, pink or purple chalice-shaped flowers from 1 1/2 to 2 1/2 inches long that open only in the evening from March through June. Texas redbud measures 10 to 20 feet tall at maturity Dark green, glossy leaves are heart or kidney shaped and turn red or gold in the fall. Tiny, white, pink or purple flowers bloom in March and April, growing in clusters along the branches. The flowers are followed by green seed-pods that turn red or purple-red and then red-brown, measure from 2 to 4 inches long and stay on the plant into the winter. Hummingbird bush is native to the banks of streams, shrub-lands and flood plains from the southern Edward’s Plateau into northern Mexico. Winecup is found growing in open woods, on rocky hills, in shrub lands and thickets. Texas redbud grows from the mountains in southern Oklahoma through central Texas and down to northeast Mexico. Plant hummingbird bush in full or partial sun and a soil that is moist to dry. The plant is drought-tolerant and hardy as far north as Dallas. The plant blooms profusely after a rain storm. Winecup is drought-tolerant and prefers full or partial sun and a moist to dry soil well-drained soil. Texas redbud likes full or partial sun and a dry, limestone-based soil and is drought tolerant. 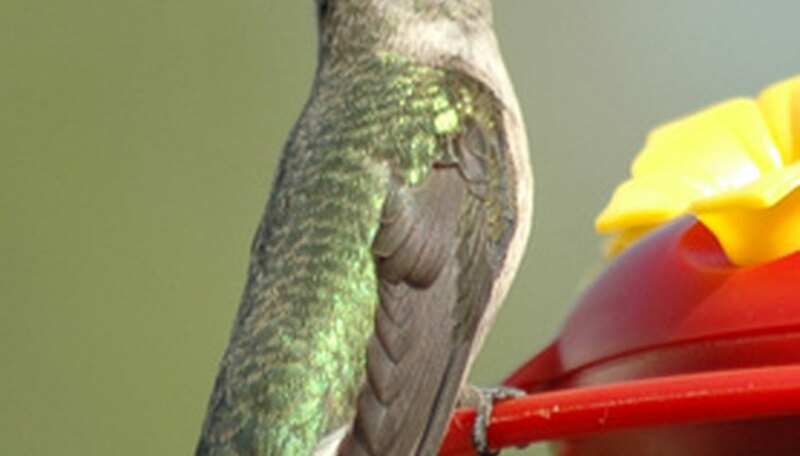 Use hummingbird bush in a perennial, hummingbird or butterfly garden. The plant is deer-resistant. Winecup works as a bedding plant, in a butterfly garden, in a hanging basket or as a ground cover in a grassy area. Bees will stop by for the nectar and the plant has only minimal resistance to deer. Texas redbud works as a specimen plant or in a butterfly garden. Deer will eat the leaves and butterflies, bees, moths, and insects will make a meal out of the nectar.